Homeschooling can be a hard and lonely journey at times. There have been times throughout this 13-year journey – certainly before Pinterest, blogs, and Facebook were popular – that I needed encouragement and tips. I needed some advice on curriculum or on a course of study. Through the library and friends – and now social media and blogs – I have discovered some wonderfully encouraging and/or helpful books that have given me the information I needed to move forward. I want to share them with you. 101 Top Picks for Homeschool Curriculum is the newest edition of one of the first homeschool books I read. 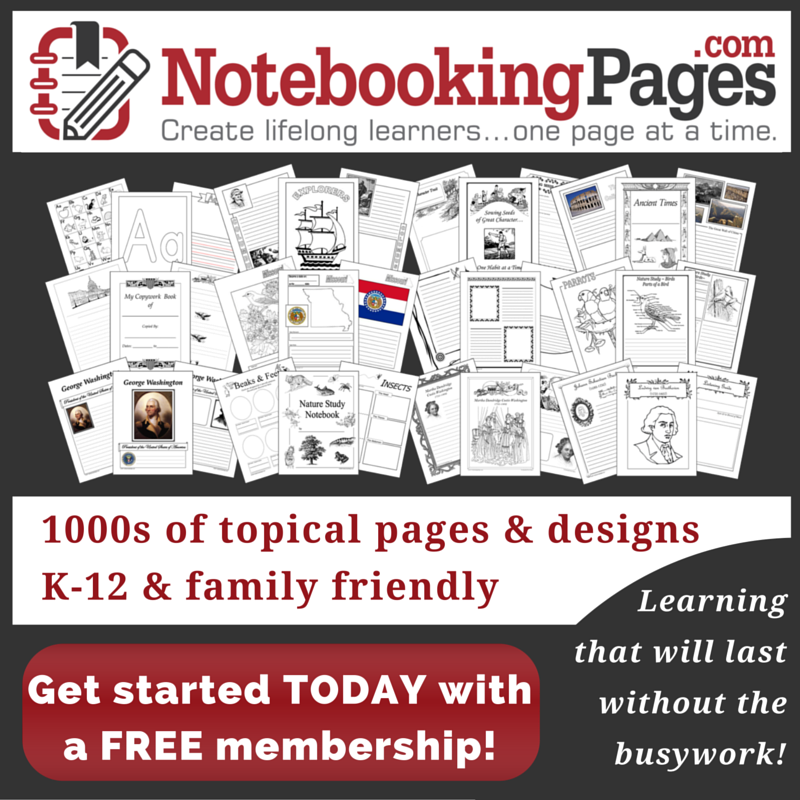 It is packed with reviews of various homeschool curriculum for different learning styles. 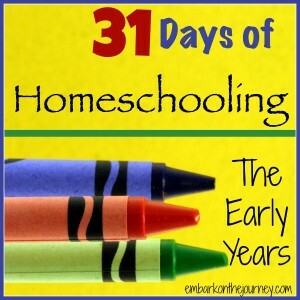 Home Learning Year By Year was another book I read at the beginning of our homeschool journey. It gives a pretty thorough overview of recommended courses that are traditionally taught each year. The Well-Trained Mind: A Guide for Classical Education at Home was a book I read about on a blog years ago. Then, I discovered their online forum. I consult this book at the end of every school year as I’m laying out my plans for the upcoming year. Susan Wise Bauer lays out a recommended course of study for every grade as well as her top picks for Classical Education curriculum options. I don’t follow her plan exactly as she prescribes it, but I do love her overall view and consult it often. 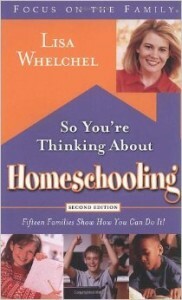 So You’re Thinking About Homeschooling was written by Blair – I mean Lisa Welchel. 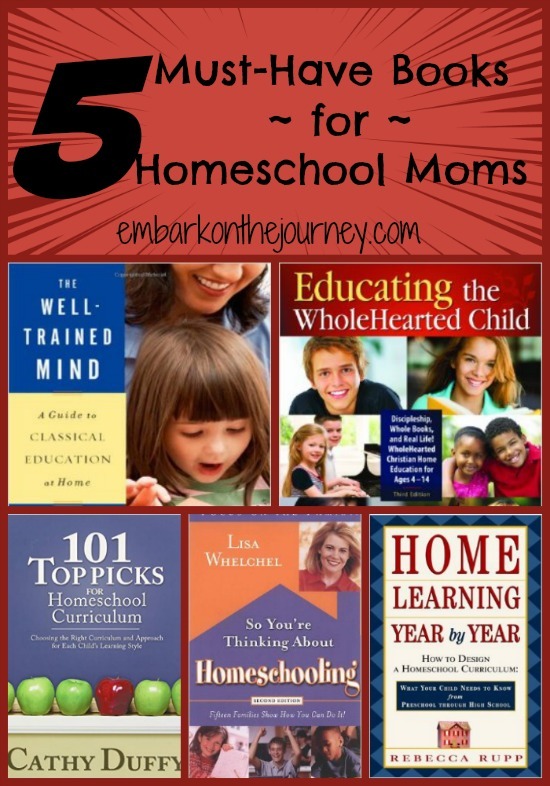 She shares her own homeschool journey as well as stories from 14 other homeschool families. The stories share how each individual family makes homeschooling work for their unique family dynamics. Educating the WholeHearted Child is a book I read years ago when I received it for a review. Homeschooling is more than just books and academics. This books serves to offer support for those Christian parents who strive to offer their children a sound education while teaching them, more importantly, to bring the life of Christ alive inside their homes.